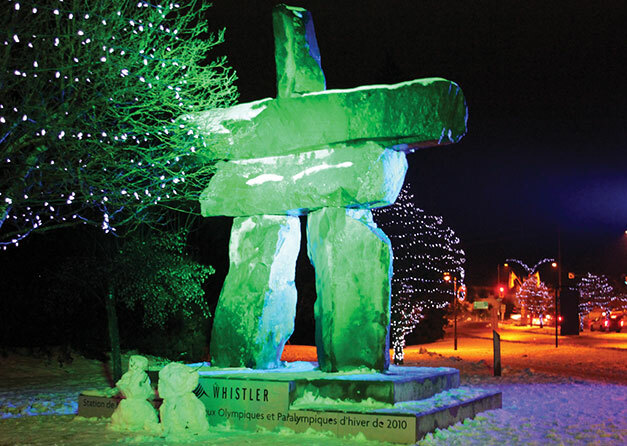 Whistler is about 10 times smaller than the French Les Trois Vallées but 2.5 times bigger than Aspen/ Snowmass or Mammoth. Even though Whistler’s highest peak and base are the lowest of those, it is famous for having the longest and earliest season with practically guaranteed fresh powder. The Vancouver airport deafened with silence after Los Angeles International. Fully carpeted and empty, it reminded of those for private jets where your stamped passport would be brought to the window of the limo. Making me wonder what the country was like: is it also much calmer and cooler than its noisy southern brother? A short glance at Vancouver did not suggest much difference though, except the skyscrapers looked younger. Leaving the airport, squeezed between calm coastal waters of Howe Sound and the forested mountains of the Canadian Pacific Range, the Sea to Sky Highway trundled north from Horseshoe Bay to the town of Squamish (named for the First Nations peoples who long inhabited these lands) into Whistler, depositing us at not such a bad spot. In 1976 Whistler was offered the Olympics but the city leaders, thinking the games were more trouble than they were worth, snubbed the International Olympic Committee, a gesture Innsbruck, Austria appreciated since they did get them that year. 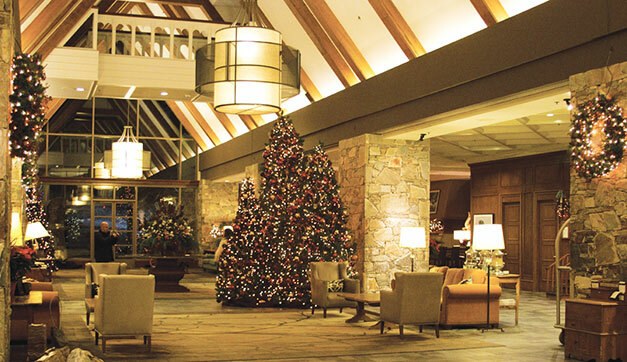 But 34 years later, the 2010 Winter Olympics made their way to Whistler. With a year-round population of 10,000, Whistler’s makeup is international and the town has it all: stars, international millionaires and billionaires and what they call “ski bums.” The latter, represented mainly by Australian and UK part-timers, are definitely as “on the ski needle” as I am, they work to ski, giving the town young blood and vibrance. More than two million people visit annually, mainly for alpine skiing but the town is also a mountain biking, golf and rock climbing haven. Whistler and Blackcomb mountains combine some 8,174 acres of terrain that receive an average of 33.5 feet of snow annually. Whistler is about 10 times smaller than the French Les Trois Vallées but 2.5 times bigger than Aspen/Snowmass or Mammoth. 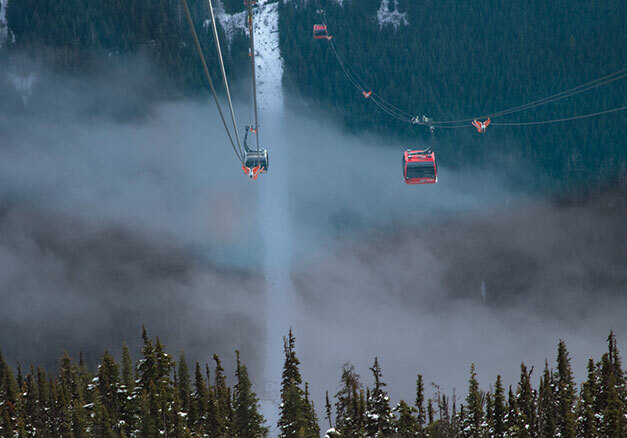 Even though Whistler’s highest peak and base are the lowest, it is famous for having the longest and earliest season with practically guaranteed fresh powder: slopes open from the third weekend of November to late April. 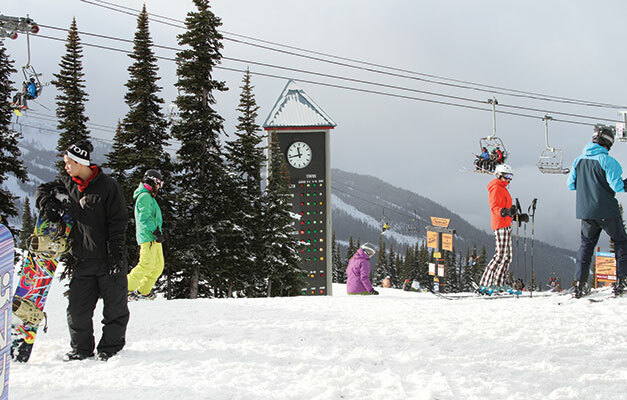 Blackcomb Mountain stays open until mid-May. Fairmont Chateau, risking somebody will ski into its steaming outdoors pools that abut the slopes, insures you cannot sleep in: the ski lift view from your suite kick starts you out of bed, digging downstairs to jump into boots, warmly stored right by the slope. Oh wait: ski-in-ski-out breakfast with a view, which helps keep it short, despite the gourmet inducements, as you can’t really sip your coffee while looking at how others are cutting up your groomed white pleasure out there. So I better bite the smoked salmon, grab the berries and run, run, run, because lifts are closing at 3 pm. Yes, it is dark by 4 pm, we are far North! Fairmont Chateau’s rentals range from clothing to demos, though demos in Whistler are rather singular: there won’t be any sport equipment. Demo skis are exclusively for the powder so just relax and do what’s fresh. Snow apps alert those in the village when it’s snowing on peaks so they can be the first on the powder. The owner of stylish Alta Bistro restaurant, Edward Dangerfield, told me that it’s hard to run a business in the town: people just call in sick if it’s snowing, showing up on slopes as diligently as for a job. Some business owners find it’s better not to try to swim against the river and close doors. Hey, it’s snowing. Next.